Another copy of something from the Moran Bros. of Miles City, Montana. 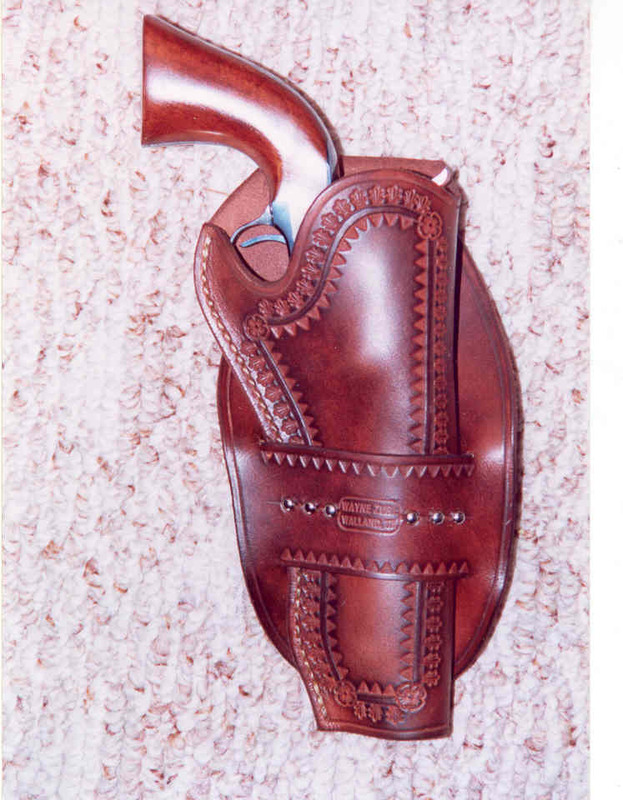 This 1880's style Mexican loop holster has double border tooling and a half dozen nickel dots as decoration. For A Colt SAA or any of the "P" frame clones of that gun. 5 1/2" barrel, right handed.